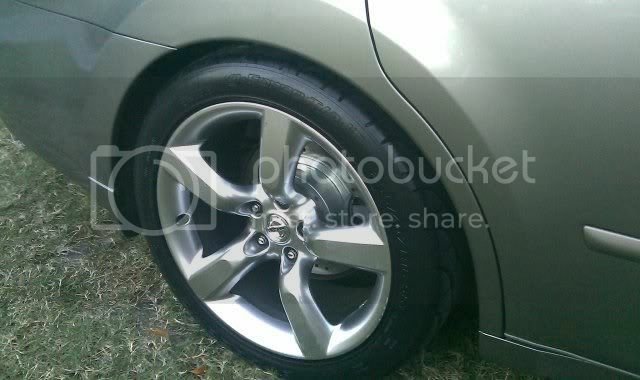 I got these rims off ebay for $639 shipped. They were scratched pretty bad with curb rash. I took some Scratch X and Mother's power ball and tried to buff them as best I could. I put the stock springs on a while ago so don't mind the wheel gap. I'm waiting on the D2 springs I ordered, should be here on Wednesday and some strut mounts I got. I also have a new inner fender cover I have to put on the front passenger side, there is a big hole in it. The tires are BF Goodrich G-Force T/A KDW2. I paid over $900 after balance, mounting, tax and rebate. No bad from the pics. They look good Cheeto. Thinking about painting them? I thought about it but I found out no one has the paint formula for hypersilver. They can get it close to OE color but not exact. hell yeah they look good..i cant wait to get back, did the scratch -x and powerball do the trick cuz i cant tell they were scratched badly..i see a nick or two..but hell they look great.. They're super sticky, you'll love them. Looks good but I could have saved you A LOT of money. They look 100x better, time for a drop? Im wondering why you went with a 40 series instead of OEM sizing. Cheeto, those look great! That is some wicked tread on those tires! No modifications. Except if I lower the back I might have issues with rubbing because I went with a 255 tire instead of 245. 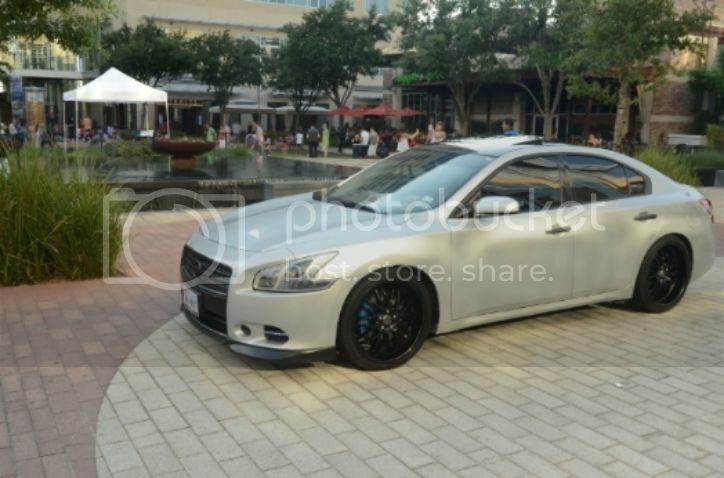 I have done a lot of research and found out that other Maxima owners had no fitment issues with the OEM 245 size tires in the rear. I'm probably not going to lower the rear depending on if droppping the front makes it match it up with the back. By just installing the front springs your actually hurting your handling. Springs are designed to be used in sets, not pairs. On top of that your tires are .7" shorter than stock which takes away from the ride comfort and handling ability. I guess I just dont understand what you're trying to accomplish. What are the offsets of the wheels you bought? Or do you not know? You're taking this to seriously man. Yes I know they are designed to be used in sets but its a personal preference. When I had my Intrax springs I drove around for a year with just the front lowered. No handling issues at all. And that was with a 2.2" drop. 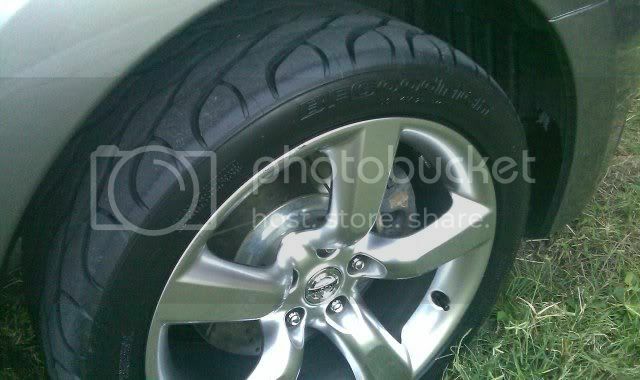 I know the offset of these rims but it doesn't matter because I have a goal and its all about the way the car looks. My springs come in tomorrow so I should have them on by tomorrow night then get an alignment the next morning. I should have some pics by Thursday. 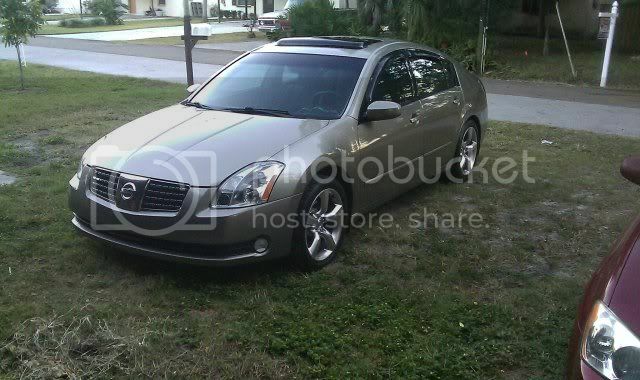 sounds good man...so you are saying even lowered, if you were to run a 245 in the back you wouldn't rub? Look I didn't say that so don't run and buy some wheels and slap them on. I'm just going by what other owners have said with the same wheels. Basically its a he said /she said thing. I tell you what. I'll throw a 1.5" lowering spring on the back, and if it doesn't rub with the 255 tire, then it definitely won't rub with a 245 tire. Haha...wasn't trying to put words in your mouth...let me know what happened when you lower it 1.5" in the rear and such...I am very interested because I love how those rims looks. Very Very nice, Looks good with the rotors and everthing.